Alvaro Noboa granted an interview to Diario Expreso from the United States, where he was when his assets were taken by the SRI. He told the newspaper that “the seizing is another event in this unfair process against me“. “I’m not running from the SRI, because of my business I have to travel abroad once a month”, he pointed out. Referring to the order that prevent him from leaving the country, he said that the measure won’t affect his return. “Obviously, I have to return”, said Noboa, as he consider himself optioned to win the Presidential elections. “We will be the finalists, Rafael Correa and I“. 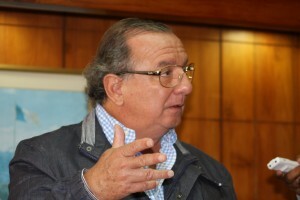 Noboa stated that, parallel to the actions from his attorneys, he will undertake an international tour to denounce the political persecution carried out by the Ecuadorian Government. Alvaro Noboa announced that he will visit the Presidents of Panama, Chile, Colombia and Brazil, and also the United Nations (ONU), the American States Organization (OEA) and the International Human Rights Commission (CIDH).